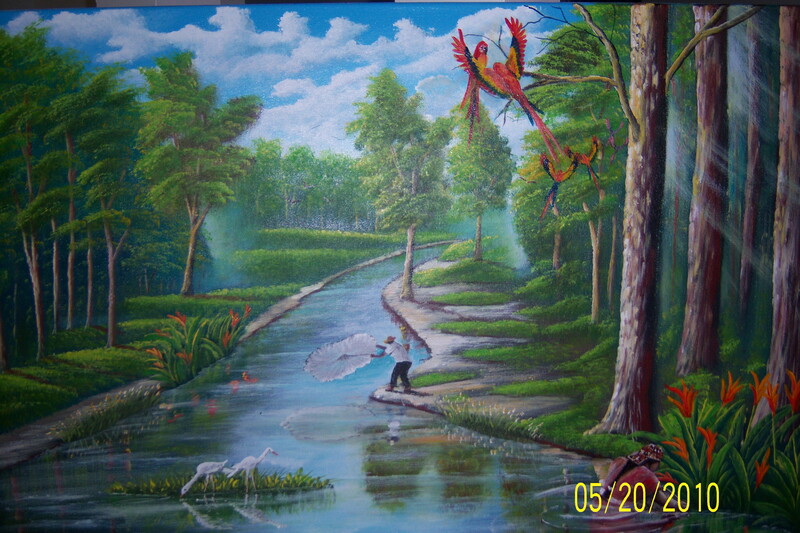 Great paintings, but I would like to see more countryside of guyana.i.e, farmers in canoe and plantain trees along the water. Thanks for the comment,Some of my paintings out there have what you sugested, this one however was delivered as order, your ideas is always my intention to send messages of culture and survival. thanks again, ideas share by the public will always makes my paintings better.